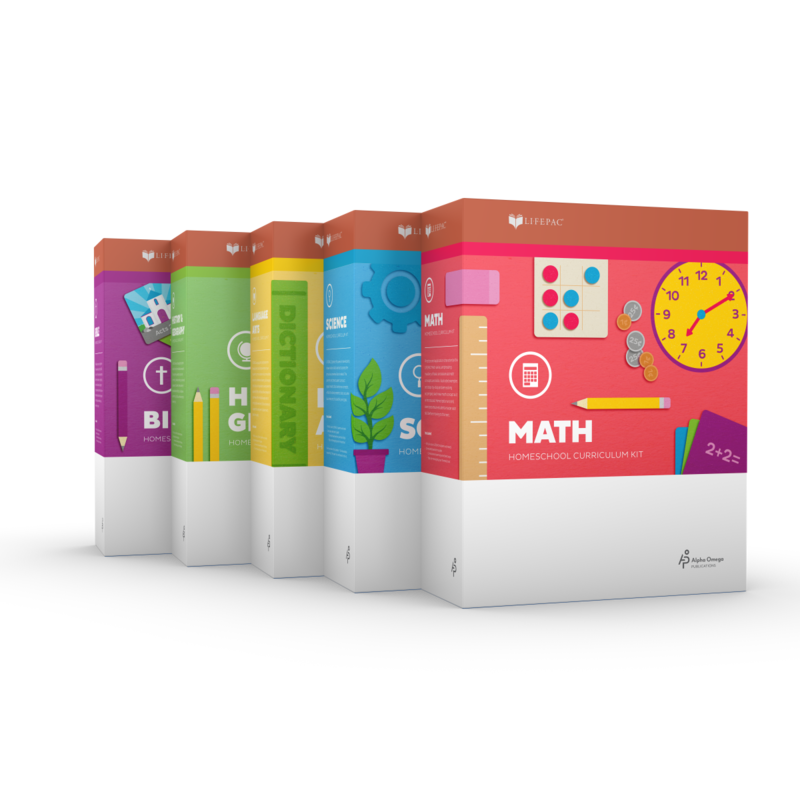 Build your child's knowledge with the LIFEPAC 6th Grade 5-Subject Set! This colorful set contains five core subjects: Bible, History & Geography, Science, Language Arts, and Math. Each individual subject in this Alpha Omega curriculum has ten worktexts and a teacher's guide. All flexible LIFEPAC lessons have engaging, Bible-based content. Discover the fun of homeschooling with the LIFEPAC 7th Grade 5-Subject Set! This colorful set contains the five subjects of Bible, History & Geography, General Science I, Language Arts, and Math. Each individual subject in this Alpha Omega curriculum has ten worktexts and a teacher's guide. LIFEPAC lessons are self-paced with Bible-based content. Discover the fun of homeschooling with the LIFEPAC 8th Grade 5-Subject Set! This colorful set contains the five subjects of Bible, History & Geography, General Science II, Language Arts, and Pre-Algebra. Each individual subject in this Alpha Omega curriculum has ten worktexts and a teacher's guide. LIFEPAC lessons are self-paced with Bible-based content. Spark your student's interest with LIFEPAC 9th Grade 5-Subject Set! This colorful set contains the courses of New Testament Survey, Civics & World Geography, English I, Algebra I, and General Science III. Each individual subject in this Alpha Omega curriculum has ten worktexts and a teacher's guide. LIFEPAC lessons are flexible, Bible-based, and easy-to-follow. 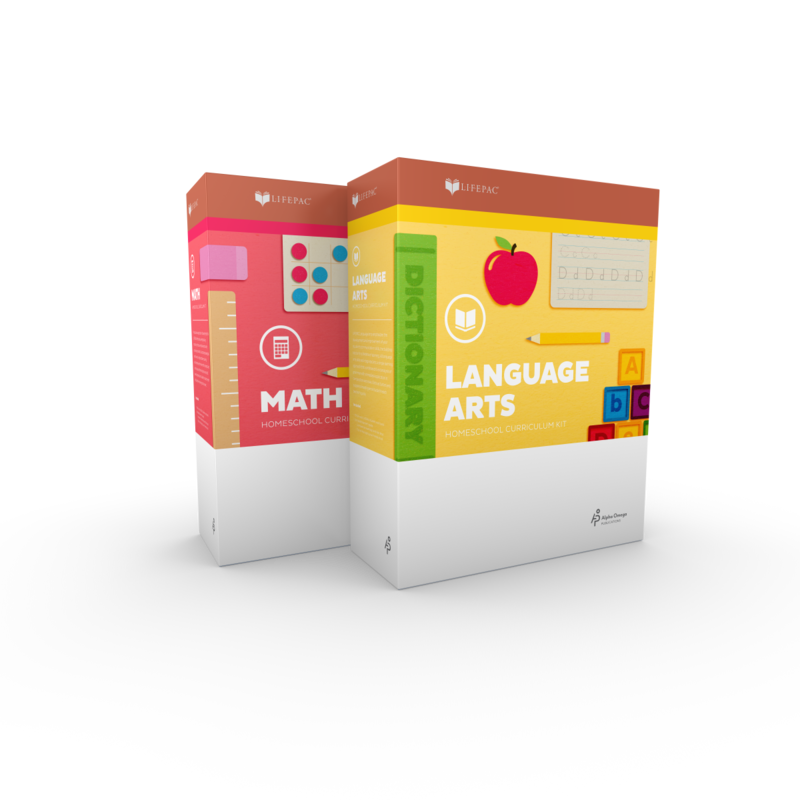 Build solid academic understanding with the LIFEPAC 10th Grade 5-Subject Set! This colorful set contains the five courses of Old Testament Survey, World History, English II, Geometry, and Biology. Each individual subject in this Alpha Omega curriculum has ten worktexts and a teacher's guide. LIFEPAC lessons are flexible, self-paced, and Bible-based. 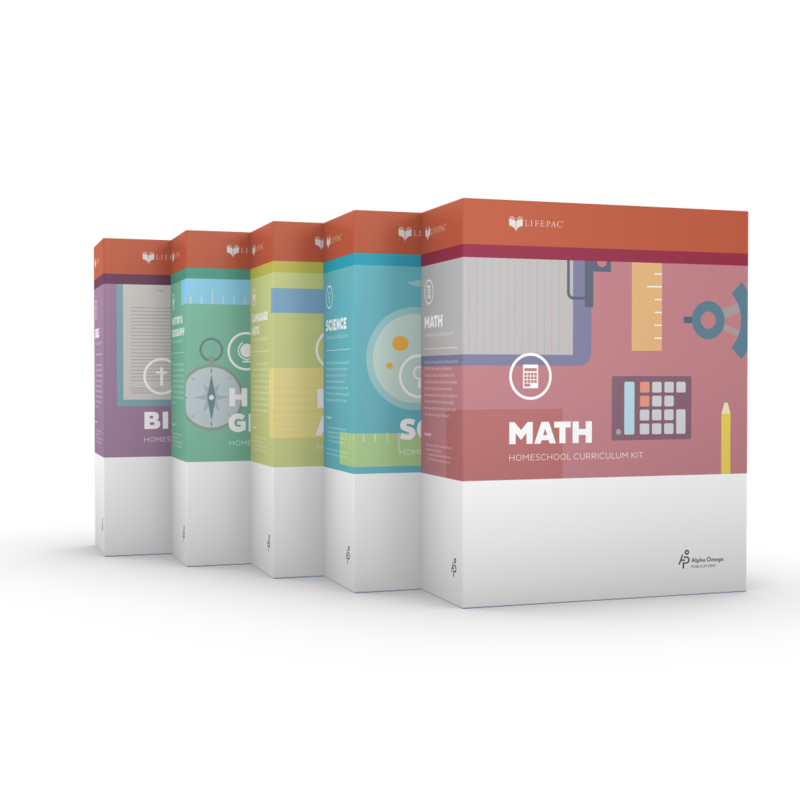 Build solid understanding with the LIFEPAC 11th Grade 5-Subject Set! 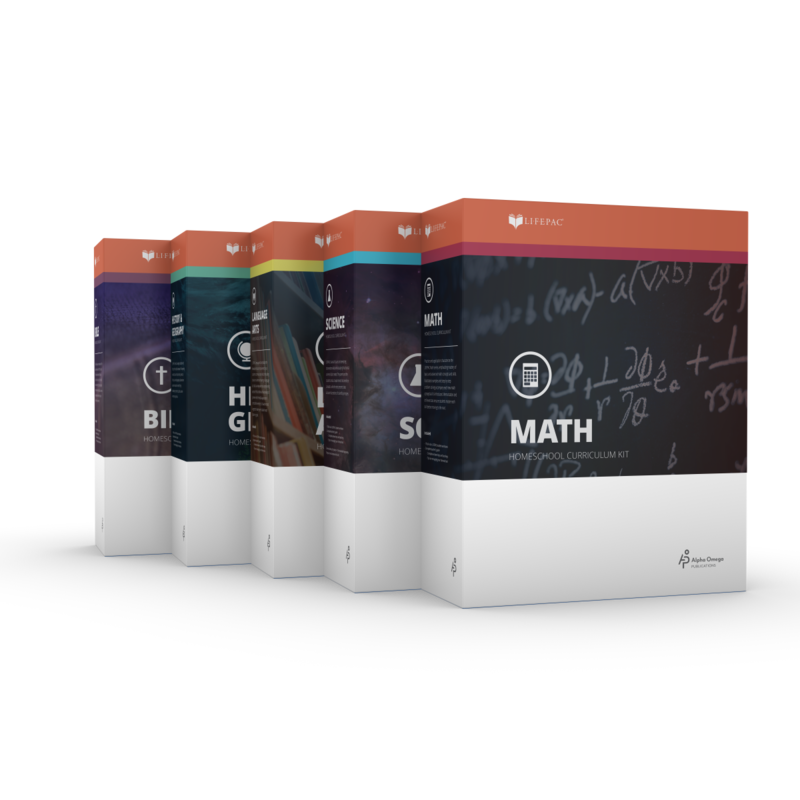 This colorful, all-in-one set contains the five courses of Bible Doctrine, American History, English III, Algebra II, and Chemistry. Each individual subject in this Alpha Omega curriculum has ten worktexts and a teacher's guide. LIFEPAC lessons are Christ-centered and encourage mastery learning. Prepare your student for college with the LIFEPAC 12th Grade 5-Subject Set! This colorful, all-in-one set contains Christian Faith & Living, Government & Economics, English IV, Pre-Calculus, and Physics. Each individual subject in this Alpha Omega curriculum has ten worktexts and a teacher's guide. Lessons offer personalized instruction and mastery learning.